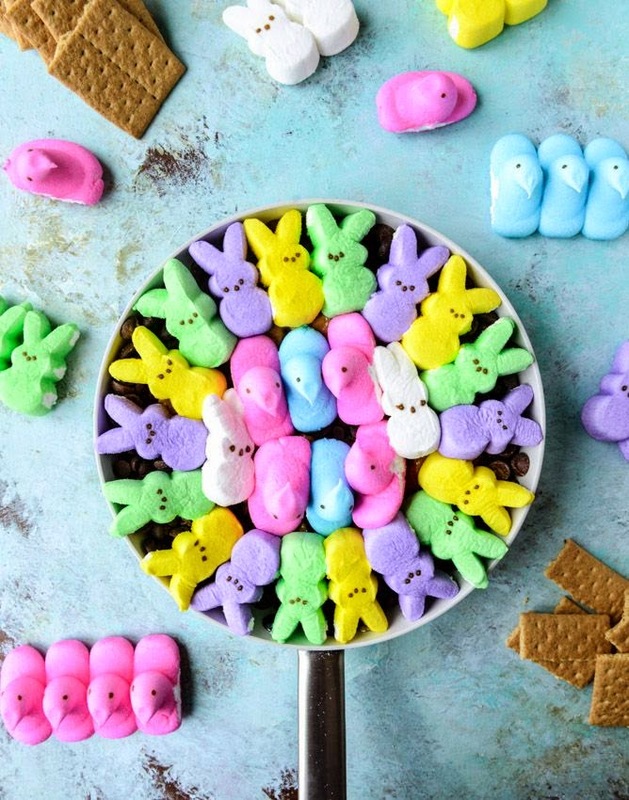 It's no secret I have a sweet tooth so I'm definitely a fan of all the Easter goodies that are in stores currently.... chocolate, jelly beans, marshmallow Peeps! I enjoy making recipes with leftover candy or discounted candy. Peeps, Mini Eggs, and M&Ms are always better half-price! 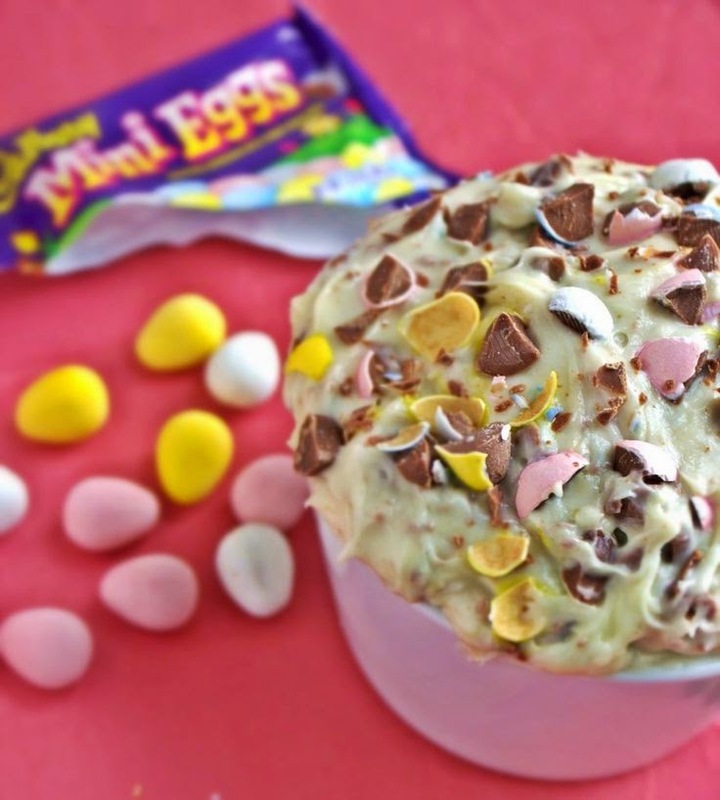 These are a few recipes I'd like to make with some Easter treats. I already made the following recipe using all white chocolate chips. It's good but incredibly sweet. 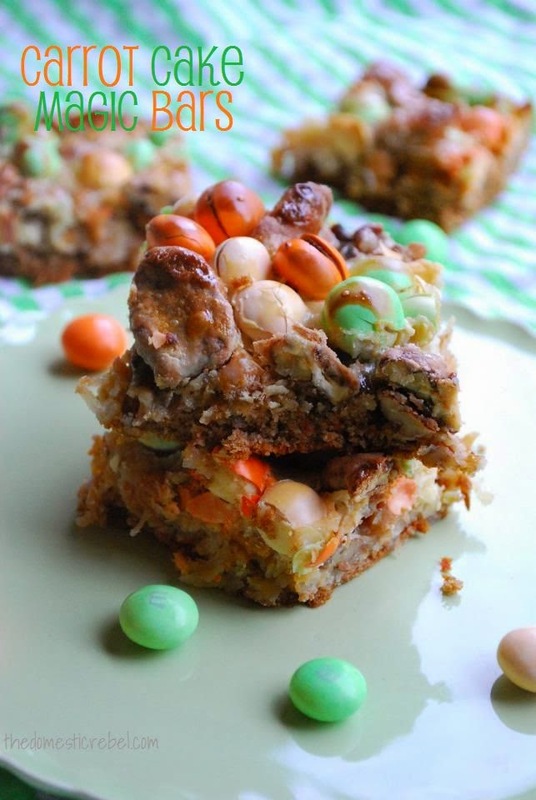 I think pretty pastel M&Ms (any flavour of them) would make these bars better! I hope you're having a wonderful Easter weekend! Mmm what a good idea!